If you read my last post, you know that my boy (doggy) Chance hasn’t been feeling well. 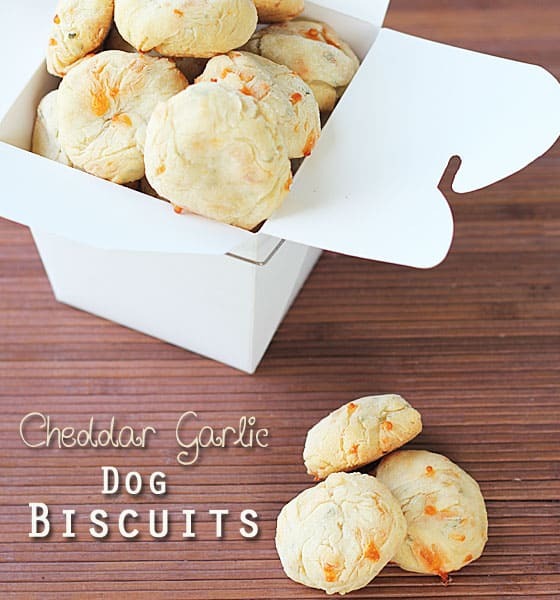 His teeth have been bothering him and he has to have dental surgery next week… so I made him these Cheddar Garlic Dog Biscuits that he absolutely LOVES! I noticed that his jaws quiver when he is yawning or chewing on crunchy food (that was my sign that something was wrong). So I made him these tender biscuits to enjoy as a treat. 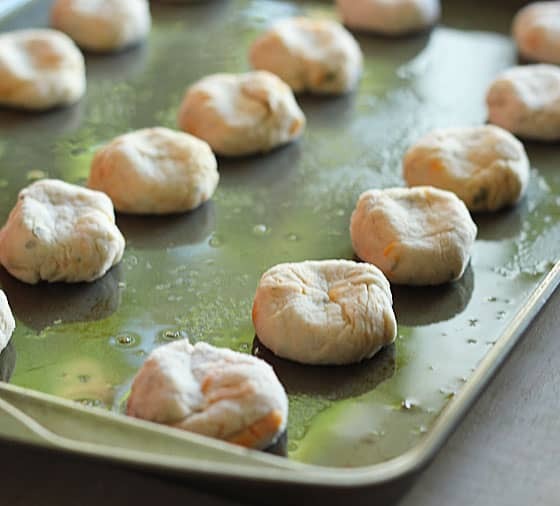 It all starts with making the dough in a large bowl…then rolling little golf ball sized dough balls and placing them on a baking sheet sprayed with cooking spray. Bake for approximately 30 minutes, or until lightly golden browned on top. 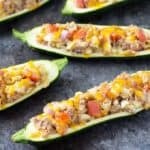 Place on a wire rack to cool. 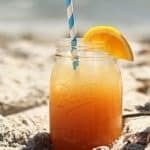 Your dog will thank you! 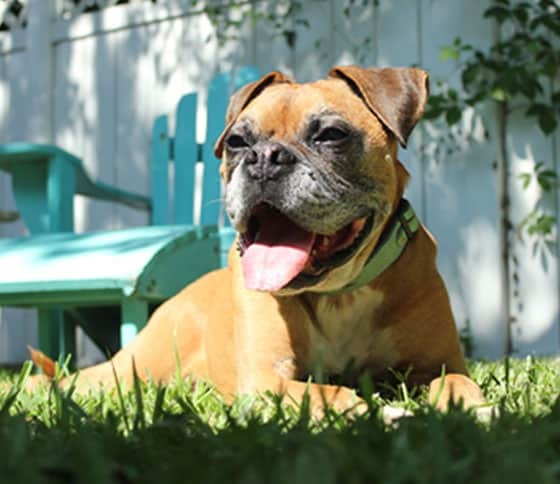 Here is chance chillin’ in grass…he always finds a warm spot to bask in the sunlight. 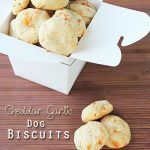 Now that he is super-spoiled, I’ll definitely be making these dog treats again soon! NOTE: It has come to my attention that there is debate regarding if garlic is safe for dogs. I have read that in minute amounts, garlic is not toxic for dogs. I have fed my dog very small amounts of garlic without issues. However, I am NOT a veterinary professional and recommend you consult your veterinarian before feeding your dog any type of homemade treats or food. Grease baking sheet or spray with cooking spray. In a large bowl, mix flour, cheese, sour cream and parsley. Add water & olive oil and form dough. 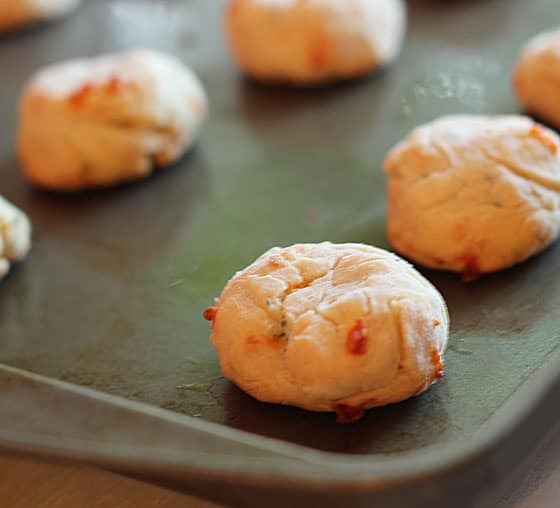 Roll golf ball sized balls from dough and place on greased baking sheet. Press on the tops of the dough balls with the back of a spoon to lightly flatten. Bake for approximately 30 minutes, or until biscuits are a light golden brown. Cool on a wire rack. Store in an airtight container and refrigerate. Pineapple & Molasses Dog Treats & a Giveaway! 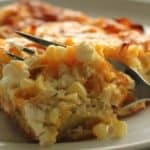 Crab, Corn & Egg Casserole & a Giveaway!